James Comey really messed up. But it is now increasingly clear that Comey was holding a dud. What he did know is that e-mails from Clinton’s assistant, Huma Abedin, had been found on the computer of her estranged husband, Anthony Weiner. The problem is, that’s all he knew. There was no evidence that the e-mails were from Clinton, contained classified material, or had any investigative value. Read: Did Comey give Trump a last-minute lifeline? No one at the FBI had even looked at the e-mails, because the agency didn’t have a search warrant to examine them. The paucity of new information is bad enough, but what’s most troubling about this episode is that Comey violated a long-standing Justice Department precedent discouraging action on a criminal investigation 60 days before an election, because such disclosures risk undermining the political process. Why didn’t Comey wait until after the election to tell Congress — or at least wait until agents had a chance to review the e-mails? The answer, unfortunately, has everything to do with Comey and little to do with what’s good for the country. 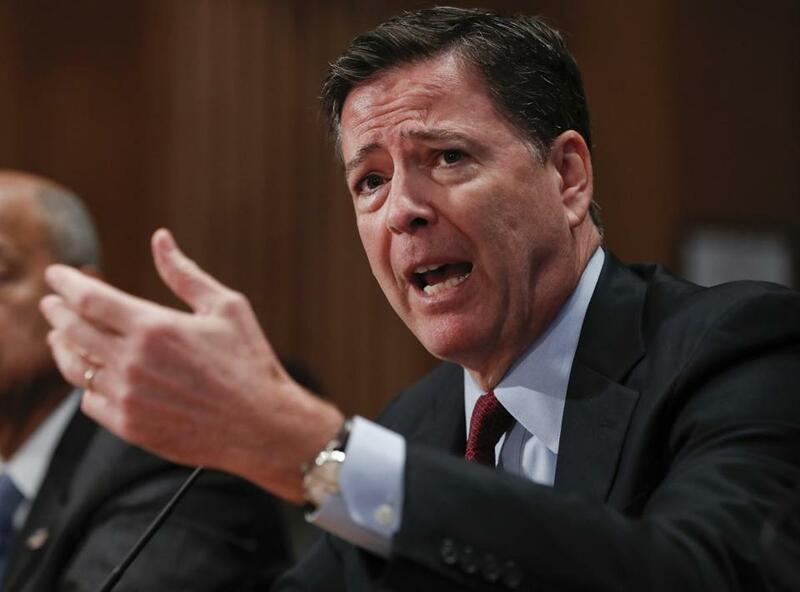 As best that can be gleaned from the now torrent of leaks emanating from FBI headquarters, Comey was concerned that news about the e-mails would become public, which might lead to accusations from Republicans that the FBI was covering up evidence of wrongdoing by Clinton. Ironically, we know now that FBI agents have been aware of the e-mails for weeks — and yet, somehow, the information didn’t leak out. But for Comey that was too big a personal risk to take. While some Democratic partisans would like to believe that Comey, a Republican, is trying to tip the election to Trump, in reality the answer is more clear-cut: He’s covering his own posterior. All of this began back in July, at Comey’s now fateful press conference in which he personally announced that there would be no prosecution of Clinton — even though the decision to prosecute was not his to make. That was bad enough, but then he made matters far worse by editorializing about the case. Comey’s dubious description at the time — of Clinton’s handling of classified information as “extremely careless” — was prejudicial and inappropriate. But what makes it worse is that he did this, almost certainly, to inoculate himself and the FBI from inevitable GOP attacks asserting that he was not recommending charges against Clinton for political reasons. It speaks to how harmful the GOP’s assertions of an FBI cover-up have been, but that is no defense. Comey has a responsibility to ignore politics in this case. Instead he’s allowed it to dictate his actions. Now he has doubled down with this latest abuse of power and, in the process, cast undue — and unfair — suspicion on Clinton. Perversely, he’s even harmed Trump. If this last minute intervention were perceived to tip the election to Trump, he would enter office under a permanent stain, and the sense among millions of Americans that the FBI put its finger on the scale to help him win.